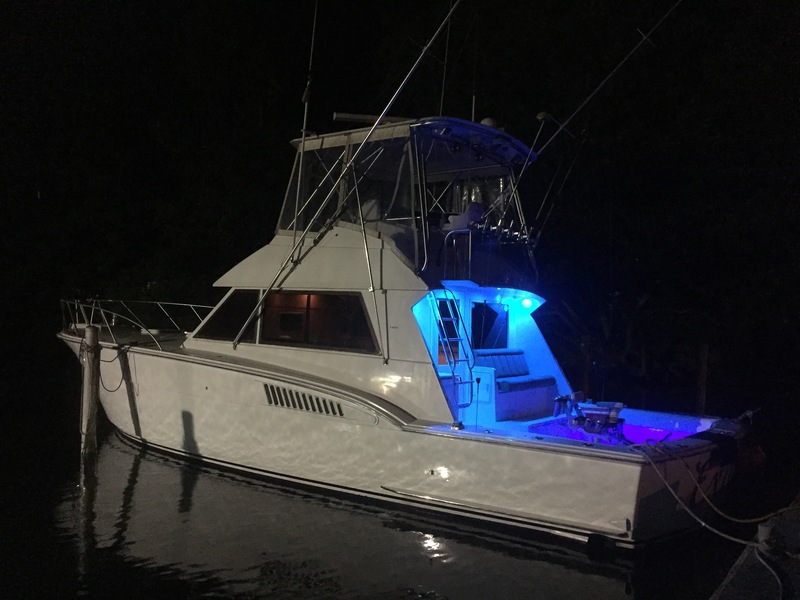 42/93 sailfish and raised at least a dozen more and saw plenty on the surface at times as well as free jumpers, 2/3 white marlin, 2/4 blue marlin and raised 2 more, 6 100+ pound class yellowfins and 4 small ones, and a few mahi and wahoo. Awesome trip! 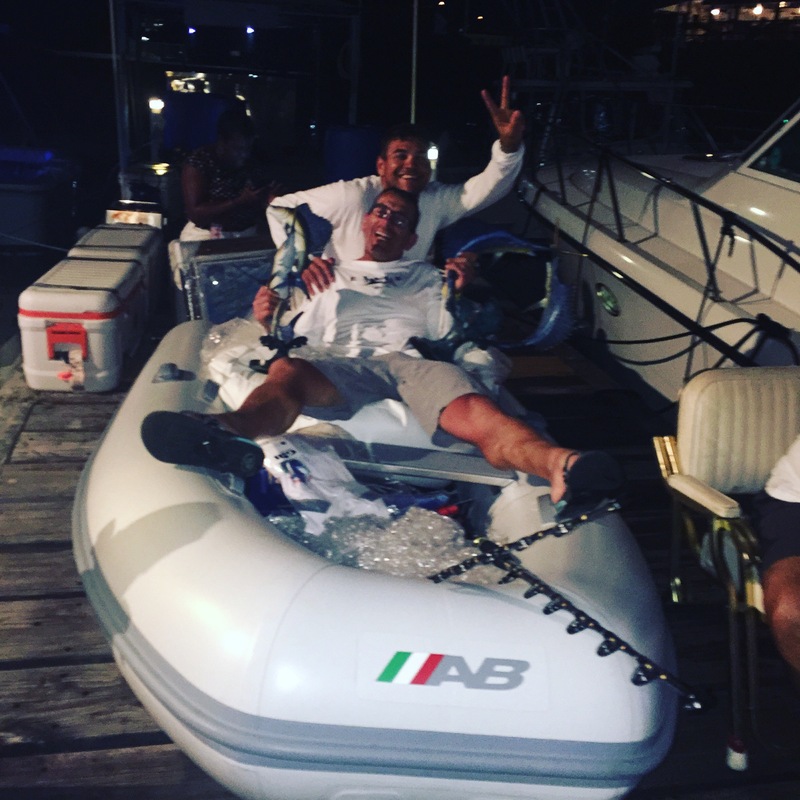 Sunday 1/24 – We had the Full Moon and we had a late start after our tournament win celebration as well as moving the boat from Grenada Yacht Club and setting up in Port Louis Marina. We still managed to go 2/3 on sails, lost a blue, and raised a blue on the teaser that never ate. A different piece of water moved in with scattered weed today, but not bad for a 5 hour day fishing. 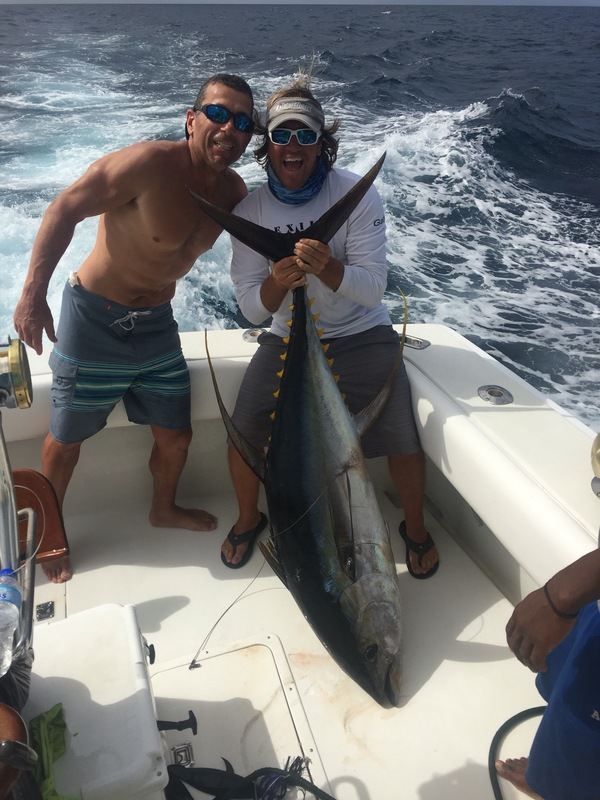 Monday 1/25 – We had beautiful blue 81 degree water and started in the deep gully and got on the sailfish quick. 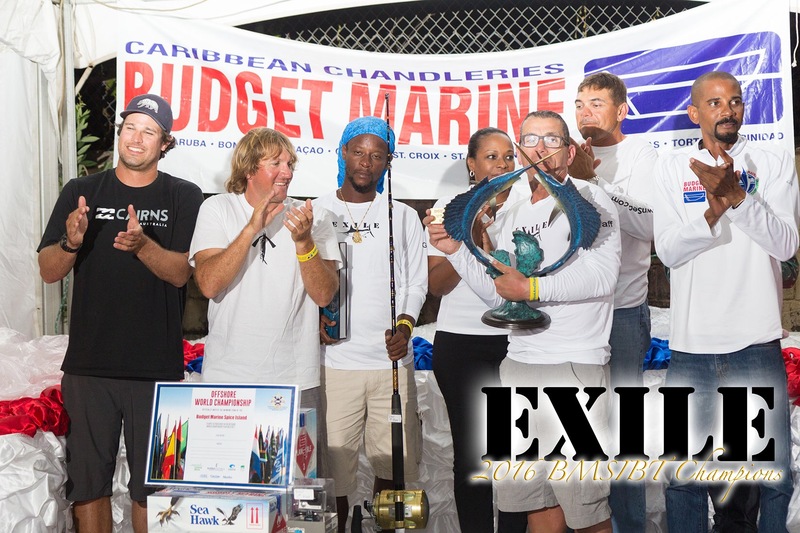 They were chewing heavy on the Fish DownSea Party Hat/ballyhoo combo like they were all throughout the tournament. 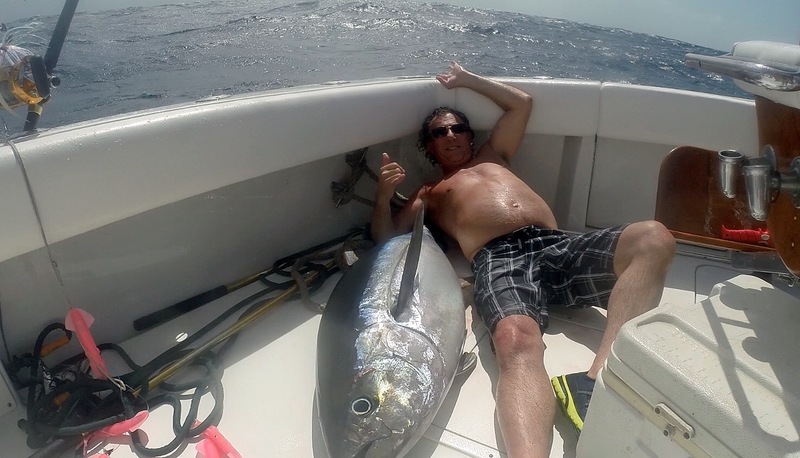 We ended up 4/7 on sails then found the tunas and got into a triple header. We got two in the boat and pulled the hook on one after a long fight. We also managed to snag a wahoo in the bird play. Tuesday 1/26 – Today the sailfish were there again and we went 6/13 on sails and also caught two 12# mahi for the dinner table. We tried chasing the birds for a bit today for tunas but were unsuccessful. 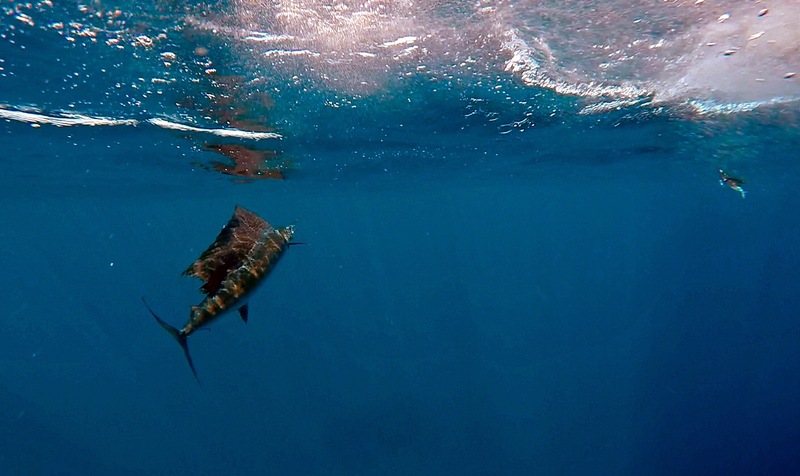 The purple Party Hat/ballyhoo combo and naked ballyhoo seemed to be the ticket on the sailfish today. Wednesday 1/27 – we put in a solid day and fished in some of the prettiest blue water I have ever seen here. Water temp has remained at 81 degrees and we had strong NE winds today and stacked seas. The fish bit well. 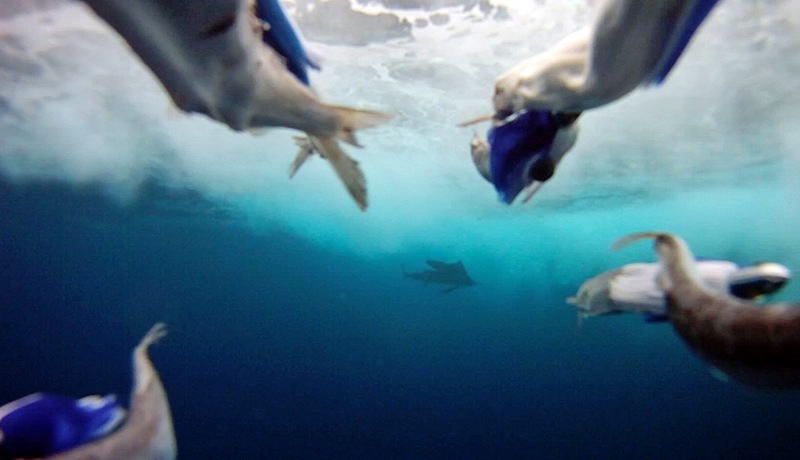 Sailfish were balling bait and the white birds were showing us where! 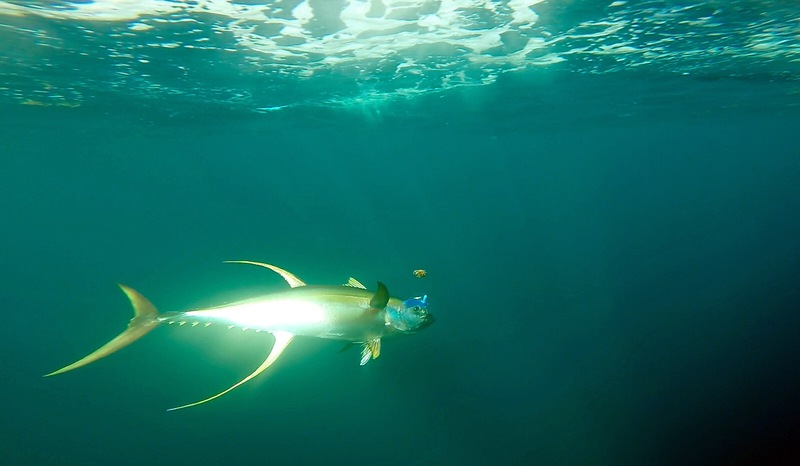 We ended the day 7/13 on sailfish and at the end of the day found some bird play with nice tunas. We got hooked into one right away and pulled the hook. Got back on the birds and WHAM! Major explosion and fish on, but pulled the hook again. Then we gave it another go and at 530pm we got one to stick good. This one fought down and dirty on the Tiagra 50W but we managed to get the 120# yellowfin in the boat with the Spreader Lights on. Fun Day! Thursday 1/28 – Our last day. We got on the troll and fairly early there was a huge flock of birds in the thousands with flying fish showering everywhere, porpoise and yellowfin tunas sky ing out after them and Game On! We ended up 3/5 on nice yellowfin tuna!!!! Awesome fishing and called it a day at lunch time to go on and get cleaned up. The wind was blowing hard out of the NE again with stacked seas and the water was blue green and 80.8 degrees. Grand Slam for the Win! Today the fishing continued to be excellent here in Grenada. 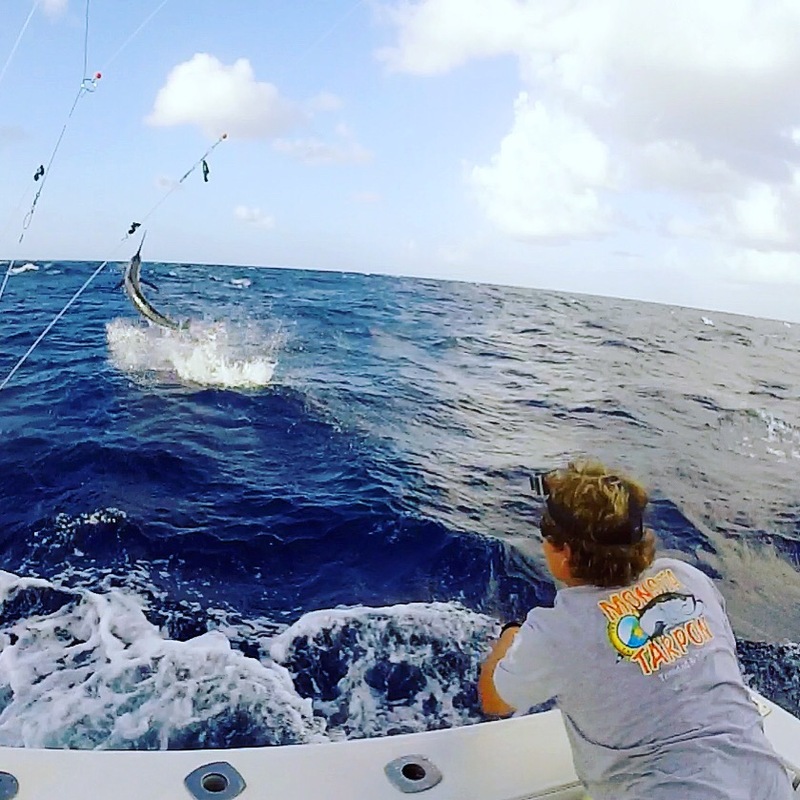 We started with a double header blue marlin and sailfish, but pulled the hook on the sail. After some fast backing down we got the release on the blue. Then the sail bite was on in on the 6000 so we pushed in quick and got on a single then a double of sails. We wanted the slam bad and after the double the got lines in quick and wham! 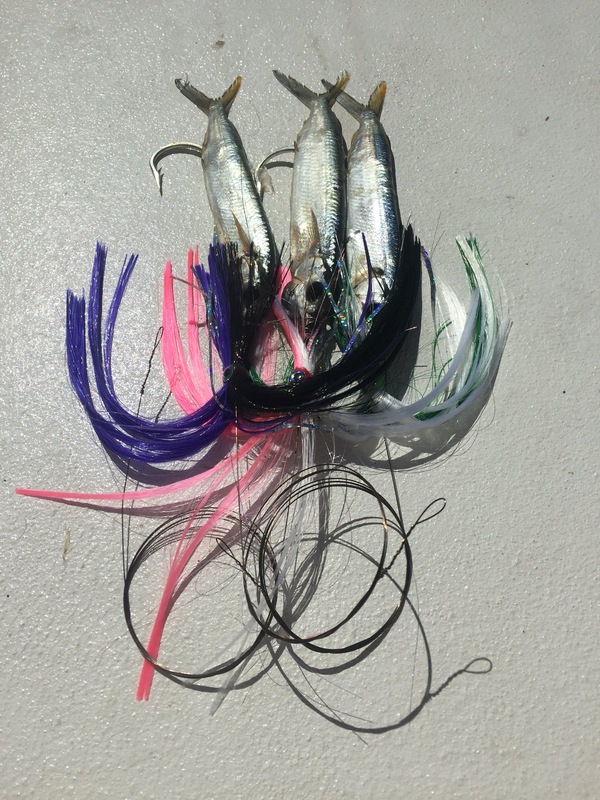 Right teaser white marlin. Frank did pretty work on the switch and we got the Grand Slam! We missed a few sails I. The afternoon but ended the day with a BANG catching a nice blue marlin at the end of the day that I got to catch. Soooooo fun and we ended up winning the tournament by a huge margin! 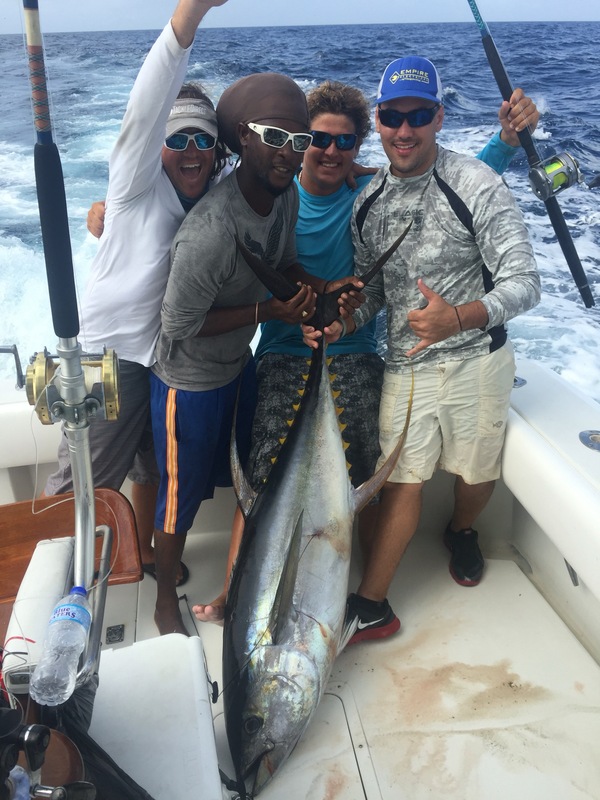 Good times here in Grenada with lots of billfishing action!!!! 1/20 today was Day 1 of the Spice Islands Billfiah Tournament in Grenada. We ended up having amazing fishing but a hard time making the connections today. 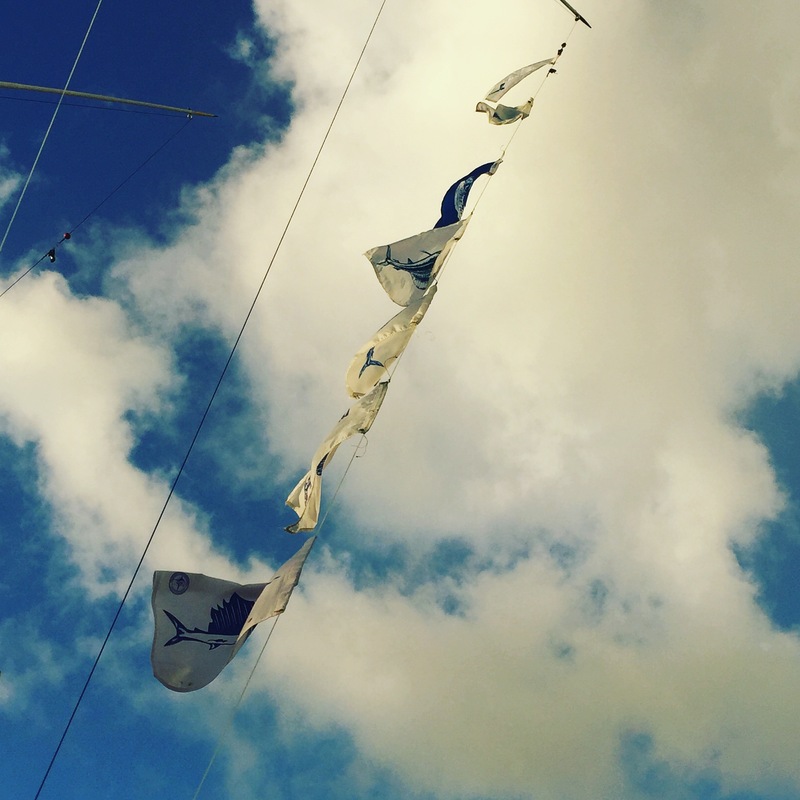 1/2 on whites and 2/10 on sails and saw 1 more sail. 1/19 we fished south of Reindeer Shoal for half a day. Overall is was slow and the barracuda were relentless. We managed to go 1/1 on sails off of a weed line. 1/18 We ran north and started in 500 fathoms off of Guoyave and went 0/2 on sails and had another on the teaser that never committed to a hook bait. After a long lull mid day we ran south to reindeer shoal in 500 fathoms and game on. Lots of bites but bad luck jumping off a few fish. We ended the day 2/10 on sails and saw 3 others. 1/17 We had beautiful weather for the crossing from Trinidad to Grenada. 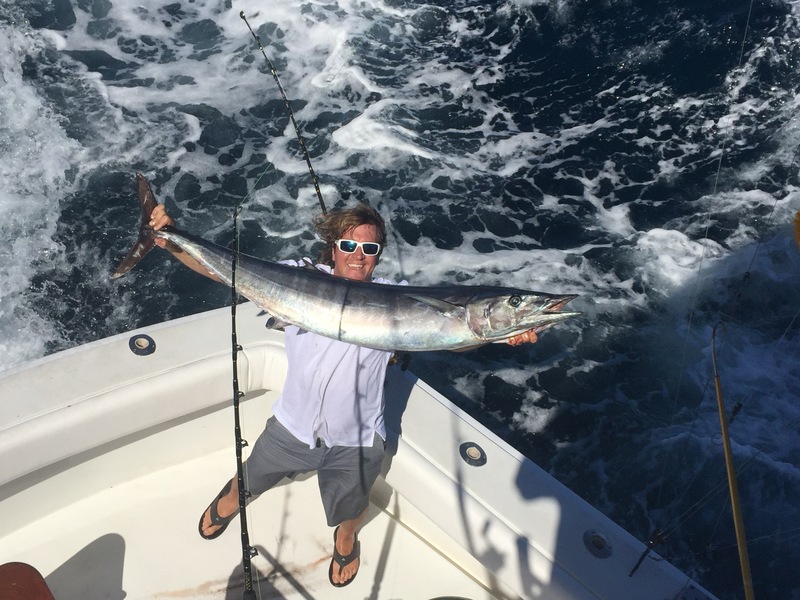 We made it so Grenada smooth so we decided to try trolling the edge for wahoo for a few hours. We ended up getting 2 decent wahoos and had a sailfish bite. Not bad, and a nice welcome to Grenada. Well is has been a very long and trying week down here in Trinidad getting the 45 Hatteras Exile up and running but hopefully everything has been sorted out. We are taking off today for Grenada and I can’t wait to get there! Overall the seas are to be calm for the crossing and as long as the boat shoes is some love after all the love we gave her this week we will arrive in Grenada this afternoon. More to come…. I was able to throw together the 9th and final Episode of the 2015 Season. It’s a quick one without any intructionals but a fun video with some great fishing and good times! Check it out and be sure to watch it in HD! We were able to get at it right away here today in St Lucia. It didn’t take long to get our first bite on the right long on the black/purple Fish DownSea Party Skirt/ballyhoo combo. 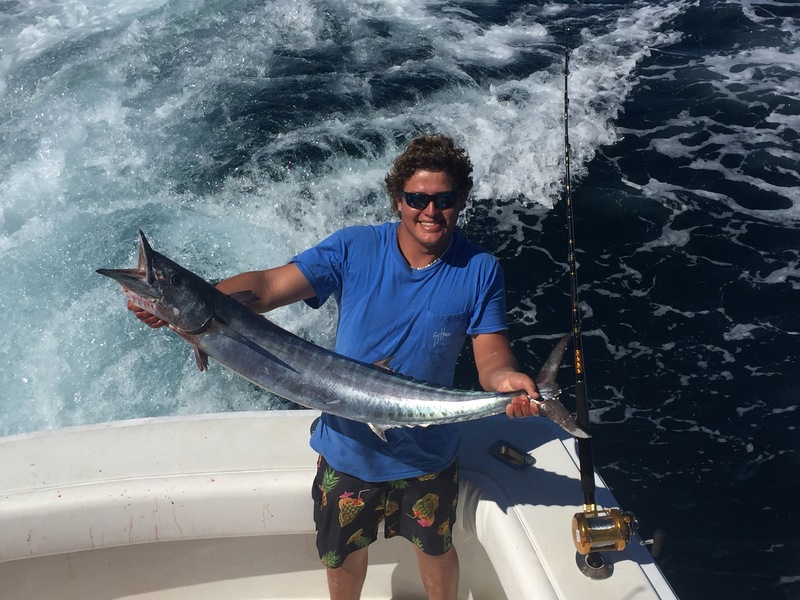 Paul hooked into the fish and we lucked out boating a 25# wahoo on a circle hook. Good eats!!!! We got back to it an a blue marlin crashed the left teaser. I got to switch it off to my blue/white Party Skirt and game on. The 100# blue put on a great show and we got a clean release boat side in about 15 minutes! It was fun to get to finish it off. Shortly after we got another marlin bite on the right long but missed. We kept pounding it out and WHAM! Blue marlin on the left teaser again! I got to switch this one off too on the black/red party skirt and GAME ON!!! This second blue was a better one pushing 200-225 pounds! It went down and fought hard. After about 30-40 minutes the blue gave us a shot at the leader and Paul hung on tight and got a nice jump out of him before popping the fish off for the release. Unfortunately we had low voltage issues and had to call it a day early, but what a great way to end the 2015 year! Hopefully they bite for us here the next two days! Happy New Year Everyone!!! Be sure to make every day better then the last..!